Cooking whole grains ahead of time is really important if you’re trying to eat healthy while leading a busy life. Whole grains are a great healthy staples that came improve both your health and your bottom line, just like when we talked about how to cook dried beans (which are a super smart choice for both health and financial reasons). Cooking whole grains not only increase your fiber intake, it also your intake of healthy unsaturated fats. Remember — your brain and nervous system are made up of a great deal of fat, and your body needs healthy fats to maintain optimal brain and nerve function! Cooking whole grains is SUPER easy, but not a week goes by where I don’t get an email from a frustrated home cook who just can’t seem to make them perfectly. Either their grains are crunchy and hard, or worse, they end up super soggy. (Ew, gross.) Folks who struggle with cooking whole grains tend to not eat them, which is a problem when it comes to health. You NEED these foods to keep your body in working order! Then there’s the time factor. Getting whole grains into your diet is important, but everyone has days where they’re just too busy or too tired to plan out dinner. I’m right there with you. It doesn’t matter if you’re a cramming student, a busy mom, or a driven, harried executive. It’s rough for all of us. What’s a busy person with a life to do? Instead of running out to McDonald’s or ordering in pizza for the third night in a row, here’s a tip that can your health while also saving you money. When thinking about what to eat for dinner, aren’t healthy foods near the top of your priority list? 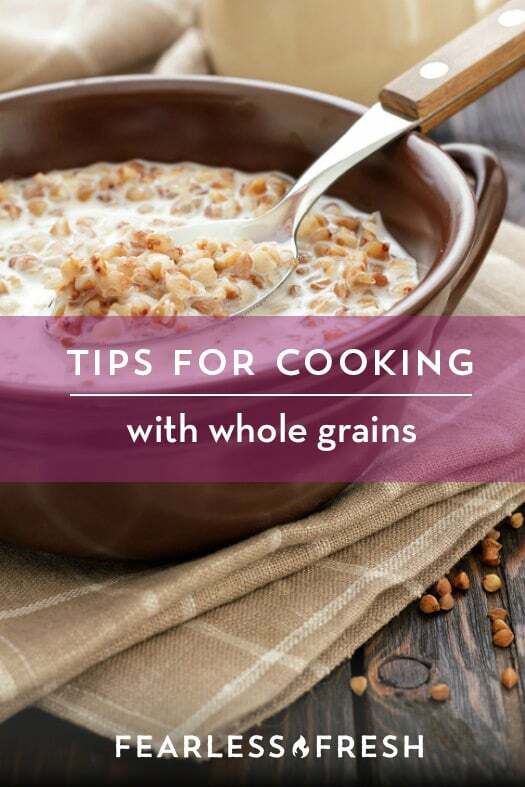 Then cooking whole grains should be at the top of your priority list, too. Cooking whole grains: why bother? Whole grains are super important to your everyday health, since they keep your blood sugar humming along at a happy level, support neural function, and supply the fiber necessary to prevent your digestive system from grinding to a halt. White rice can seem like the perfect quick home cooked meal if you’re in a hurry, but before you grab that bag of Uncle Ben’s, think about what those whitewashed grains are doing to your body. It’s not good. White rice is basically a less-delicious Snickers bar in disguise. Don’t believe me? Check out what white rice does to your blood sugar levels, and how it can cause you to overeat. Eating refined grains, such as white rice, is a cheap way to eat, but they can contribute to a series of health problems such as obesity, insulin resistance, diabetes, polycystic ovarian syndrome and a host of other unsavory conditions. While eating white rice is healthier than chowing down a Milky Way bar, it’s not that much healthier. What’s the point of watching the amount of carbs you eat when the carbs you’re scarfing don’t have any nutritional value? Given all of that, whole grains are WAAAAAY better for you. And I promise — cooking whole grains is super easy. Did you know that you can cook any whole grain in a rice cooker? With a rice cooker you can literally flip the thing on and walk away. But again, it still takes a long time to prepare whole grains, and unless you get home at like 4:30 in the afternoon, you probably won’t have time to get them started in time for dinner. If you buy a super fancy rice cooker with a timer, you can indeed set it up before you leave for work and it will be ready when you get home. 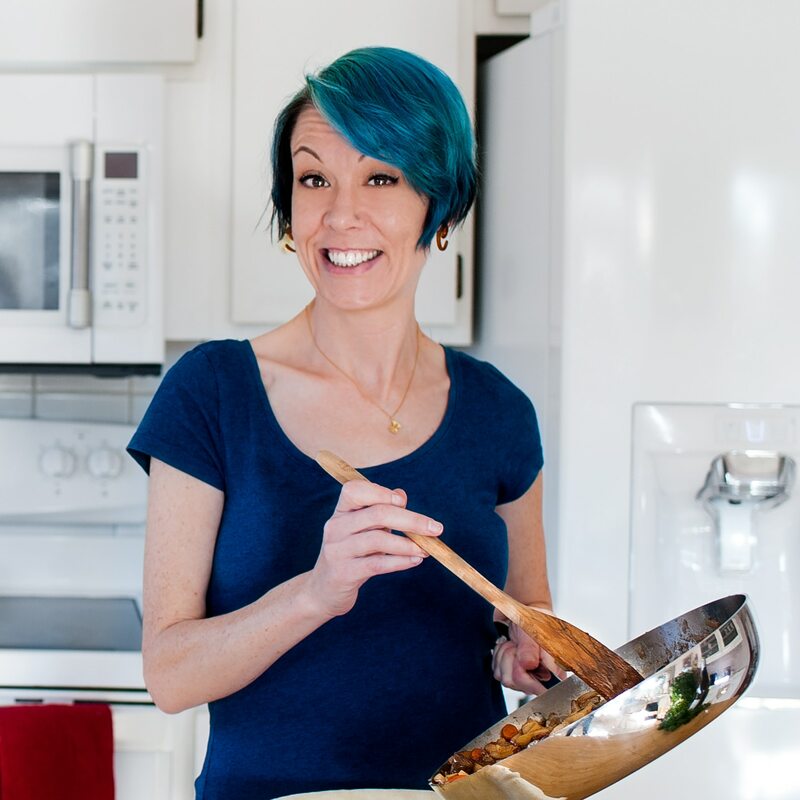 But not everyone has a super high-tech rice cooker, so here at Chez Fearless, we have another trick for cooking with whole grains that will keep you fed all week. Here’s another good grain tip — did you know that brown rice and other whole grains freeze beautifully? If you want to store your whole grains for longer than a few days, or if you want to make up a ridiculously huge amount to store into perpetuity, add 10% less water when you cook the grains to keep it a little firmer. Once the grains are done and still warm, line a cookie sheet with a piece of parchment and spread the grains out in a thin layer on a cookie sheet to cool. Set the cookie sheet in the freezer for a few hours. Once the grains are frozen, scoop them into a zip-top bags and store in the freezer for up to six months. Voilà! Dinner forever! If you want your whole grains to turn out tasting delicious and satisfying, then there’s one thing you don’t want to forget: SALT. Just like cooking perfect pasta, you need to salt the cooking water. How much salt do you need to use? The water should be fairly salty, like noticeably salty when you taste it. It should be slightly less salty than seawater. Trust me, this is an all-important step — if you forget to salt your cooking water before adding your whole grains, no amount of salt added after-the-fact will make them taste sufficiently salty. I speak from experience here. Prepare 4 cups of brown rice or your favorite whole grain this week, portion it into 1-cup containers, and freeze it. Then defrost whenever you need a quick healthy starch to accompany your dinner.